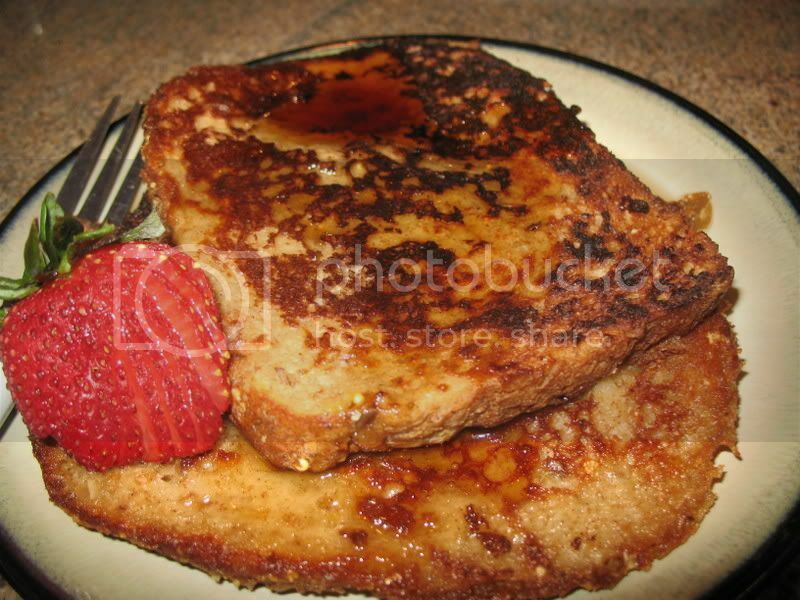 Whether you are of the maple syrup variety or a powdered sugar purist, french toast hits the spot. Today it's raining outside and there's a smell of cinnamon coming from the kitchen. That might be misleading, because I am actually about 2 feet from the kitchen. Anyway, I'm making easy french toast. The chickpea flour makes the toast crispy and "eggy". Very simple. Just adjust quantities as needed. I can't really call this a recipe without being embarrassed, so I'll call it a "method". The only bread I would not advise using is white sliced bread. Bread cut from a loaf (like french bread) would be fine, but a bread like Sunshine or other white pre-sliced bread will probably not hold up. I use a whole wheat grain bread and I don't even let it get stale first. Pour in a little milk (1/4 cup?) and whisk until most of the lumps are out of the flour. Heat a cast iron skillet and add margarine, oil, or a mix of the two and heat. Dip each slice of bread on both sides into milk mixture and place in pan. Don't flip too early, or bread will stick. Once flipped, cook until toasty and done. You're like me, I like my french toast made with normal wheat bread. None of that french loaf stuff. That way it gets cooked on the outside but stays mushy in the middle. Perfection.